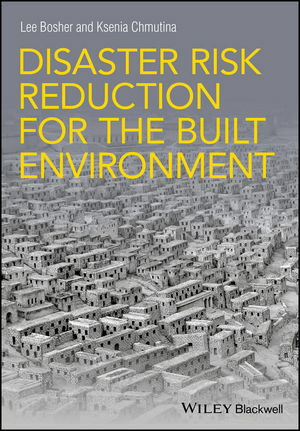 Disaster Risk Reduction for the Built Environment provides a multi-facetted introduction to how a wide range of risk reduction options can be mainstreamed into formal and informal construction decision making processes, so that Disaster Risk Reduction (DRR) can become part of the ‘developmental DNA’. The contents highlight the positive roles that practitioners such as civil and structural engineers, urban planners and designers, and architects (to name just a few) can undertake to ensure that disaster risk is addressed when (re)developing the built environment. The book does not set out prescriptive (‘context blind’) solutions to complex problems because such solutions can invariably generate new problems. Instead it raises awareness, and in doing so, inspires a broad range of people to consider DRR in their work or everyday practices. This highly-illustrated text book provides a broad range of examples, case studies and thinking points that can help the reader to consider how DRR approaches might be adapted for differing contexts. Dr Lee Bosher is a Senior Lecturer in Disaster Risk Reduction in the Water, Engineering and Development Centre (WEDC) at Loughborough University, England. He has a background in disaster risk management and his research and teaching includes disaster risk reduction and the multidisciplinary integration of proactive hazard mitigation strategies into the decision–making processes of key stakeholders, involved with the planning, design, construction and operation of the built environment. Lee is coordinator of the International Council for Building's Working Commission W120 on 'Disasters and the Built Environment', a Fellow of the Royal Geographical Society and he has been involved in research projects that investigated how urban resilience can be increased in the UK, Haiti, India, Nigeria and across parts of Europe. Lee's previous books include 'Hazards and the Built Environment' (2008) and 'Social and Institutional Elements of Disaster Vulnerability' (2007). Dr Ksenia Chmutina is a Lecturer in sustainable and resilient urbanism in the School of Civil and Building Engineering, Loughborough University. Her main research interest is in synergies of resilience and sustainability in the built environment, including holistic approaches to enhancing resilience to natural hazards and human–induced threats, and a better understanding of the systemic implications of sustainability and resilience under the pressures of urbanisation and climate change. She has extensive experience of working on RCUK and EU–funded projects that have focused on resilience and sustainability of urban spaces in Europe, China and the Caribbean.